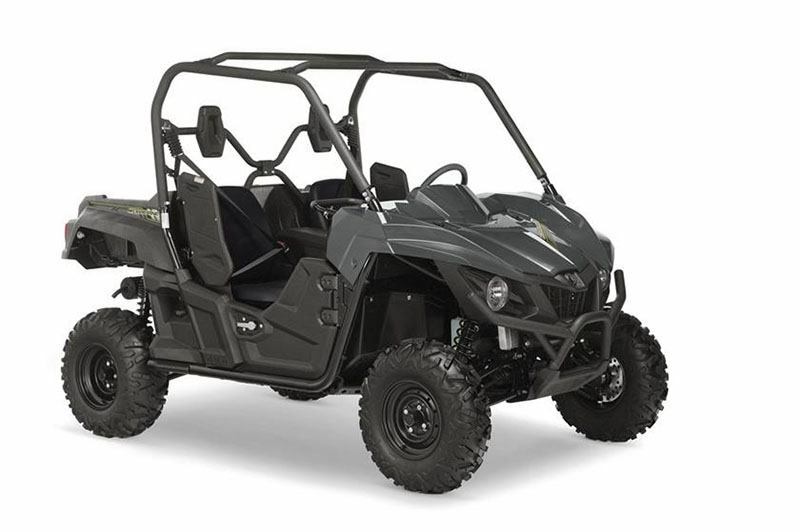 COMPACT, HIGH VISIBILITY DESIGN: The front and rear of the chassis – approach and departure angles – are tapered on the sides and bottom of the vehicle to reduce potential contact on tight trails and in rough terrain. 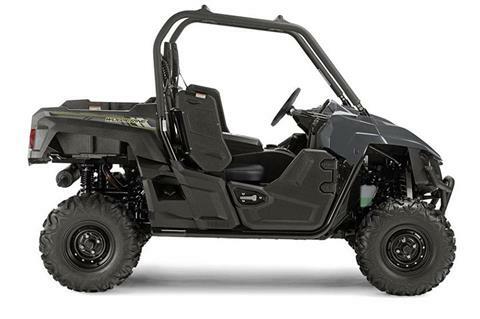 With an 81 inch wheelbase and 11.4 inch of ground clearance, the Wolverine is designed for best-in-class terrainability, while the body design and low hood gives drivers maximum visibility to navigate tight, technical trails and challenging terrain. HEAVY-DUTY TOWING CAPACITY: Standard, heavy-duty two-inch receiver-style hitch can tow up to 1,500 pounds. MODERN DOHC ENGINE: Powered by a double overhead cam (DOHC), 4-valve, fuel-injected 708 cc engine, the Wolverine is tuned to optimize torque, power delivery and engine character to get through even the most challenging off-road terrain. OFF ROAD CAPABILITY AND AWESOME VALUE: The Wolverine® features an aggressive, compact look and is designed to provide the best blend of capability and value in the side-by-side segment, thanks to Yamaha’s blend of suspension, handling, drivetrain and chassis components working together to give you the ability to traverse rough terrain with confidence and comfort. CUTTING-EDGE DOHC ENGINE: The Wolverine is powered by Yamaha’s newest and most advanced 700-class engine ever, with dual overhead cams and fuel injection. The 708 cc engine's power character is optimized for smooth, linear, power delivery to tackle both open trails and more technical terrain.